President Obama promised to “fundamentally transform the United States of America.” He has in many respects delivered on that promise with the unveiling of the Affordable Health Care Act and a host of executive orders that are, in the final analysis, out of step with American values. But give credit where credit is due. The transformation which the president promised has taken place. Now, Americans wait for the painful consequences to set in. 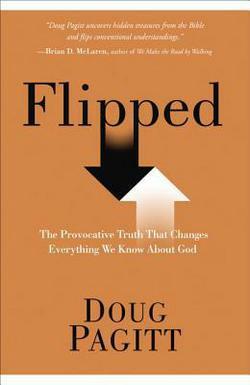 In Doug Pagitt’s latest book, “Flipped,” the author sets out to fundamentally transform the classical view of God. This transformation is creative and innovative. It is intuitive and will attract the attention of many readers. To see that changing your mind, drawing new conclusions, and engaging new ideas all lie at the heart of Jesus’s message and life.